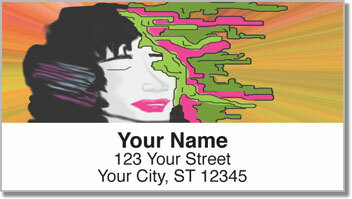 Give your letters and packages an edgy urban look with these unique return address labels from CheckAdvantage. You don't have to pick up a can of spray paint to add a little underground art to your outgoing mail. 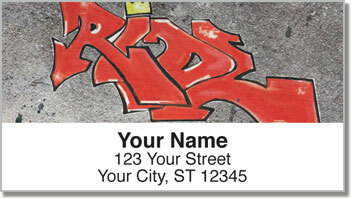 Just stick on these self-adhesive labels for a fun way to make it stand out with the style of the streets. 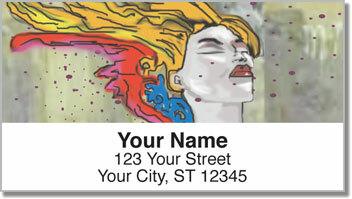 Graffiti Art Address Labels give you an option that's actually cool. No flowers. No puppies. No cartoon characters. Just raw originality! Besides being an eye-catching, one-of-a-kind choice, these labels can also save you a lot of time. Forget about having to scribble out your name and address on every envelope. A self-adhesive backing means all you need to do is peel and place! 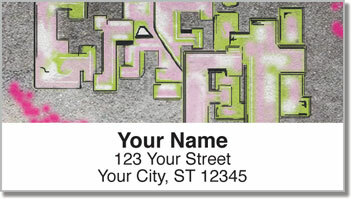 Get your own Graffiti Art Address Labels right now! Complete your order with matching checks!